How long did it take you to get a voters card, did you had to come the next day to do your voters’ registration or you spent the whole day doing it? A visit to some INEC registration centres in Lagos confirm the harrowing experience citizens go through to get their voters card. One of the people we spoke to told us that she had to use her in-house contact who works with INEC for her to be able to register immediately. Another told us that he has been at the registration centre since 6am and as at 3pm the same day, he has not been able to register for his card. INEC extended the deadline for registration to two weeks, thus the registration will be coming to a close on the 31st of August, but despite this, there is obviously a large section of the population that are willing to vote but unable to register, this is not because of the simplified process of registration, but much to the inability of INEC to cope with the large number of people that turned out for the exercise. In most INEC LGA centres, INEC only has two computer to cater for the large number people that turned out. In Kosofe LGA, Surulere INEC LGA offices, there are only two systems to cater for more than four hundred people that came out for registration daily. These officials can only register a minimal number of people in a day, some are only able to register as low as a fifty people in a day. Many feel they are been disenfranchised by the process, and it does not matter the extent they go, they would still not get their PVC. 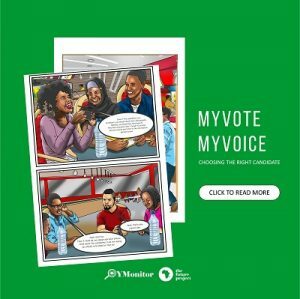 INEC would have to do more in subsequent elections to address the problem of capacity, as well as work hard at making voters registration a seamless exercise.